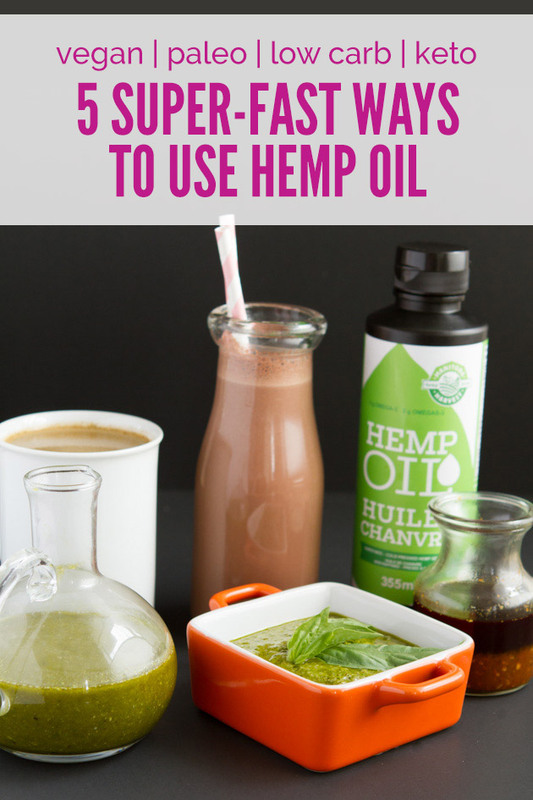 Using hemp oil in your favorite everyday keto meals, snacks and condiments is easy with these 5 quick keto recipes using hemp oil: keto marinade, keto chocolate shake, keto salad dressing, keto fruit dip and a keto vanilla latte. Well hello, there. Have I got a keto treat for you. 5 keto recipes, 1 post + a fun video. Let’s dive in! When it comes to hemp oil… many of us know that it’s rich in omega-6. And; from my previous posts and much information out there on the interwebs, we’re advised to lower our intake of omega-6. The omega-6 to omega-3 ratio of hemp oil is 3:1, a good ratio considering a standard eating style is far too high in omega-6. Would I recommend hemp oil to someone eating a standard diet? No. But, our community is not that. You eat vegetables, you workout, you take care of your body. GLA is an omega-6 fatty acid that can cause inflammation. On the other hand, it’s been found to heal psoriasis, PMS, eczema, and benefit the cardiovascular system. Why the contradiction? There are two things that the body can do with GLA – convert it to an inflammatory-inducing fatty acid (AA), or a health-promoting fatty acid (DGLA). AA plays a role in regulating the body after weight loss by boosting leptin levels, so we do want a bit of it. To encourage the production of DGLA, magnesium, zinc, vitamin C, vitamin B3 and vitamin B6 are required. If you’re eating a whole food-based eating style, you’re set. Note: GLA should not be used during pregnancy as it may be harmful to the fetus and induce early labor. Also, omega-6 supplements should not be taken if you have a seizure disorder. There are other powerful components to keto-friendly hemp like chlorophyll, vitamin E, carotenodes and more. Read more on the power of hemp. I feel good about including hemp oil in my life. So much, that I spent an afternoon making keto ingredients dance on paper. The result: 5 super easy keto recipes using hemp oil. 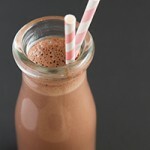 From keto chocolate shakes, keto blended coffees and beyond. I want you to know that I’m not keen on following the latest and greatest trends in the nutrition world. I’m about exploring; and being open to, what the healthiest ways to eat are, while being mindful of allergens, and creating recipes that taste good. I’m about solving and preventing health problems by researching and presenting facts. What was your favorite keto recipe in the video? Do you use hemp oil as part of your healthy, keto lifestyle?